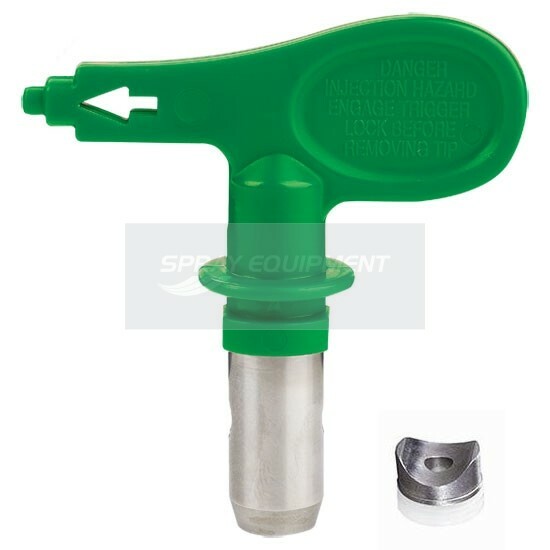 HEA ProTip nozzles can last up to twice as long as conventional airless tips. 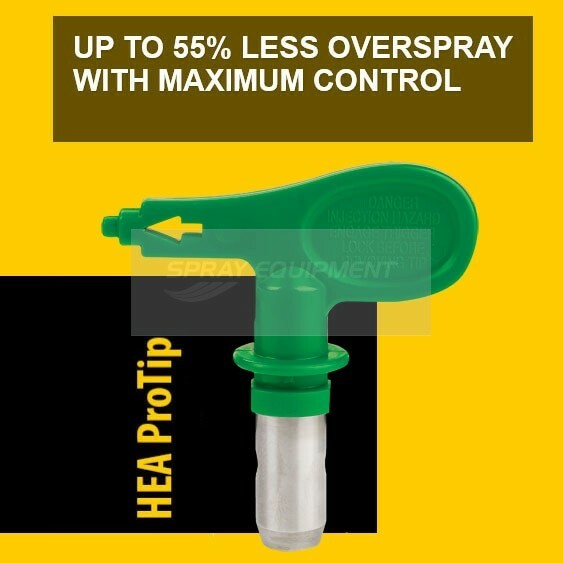 The new HEA ProTip airless spray tip from Wagner. Unlike other 'low pressure tips' which need very specific pressures the Wagner model is very user friendly working from 1000psi upwards. 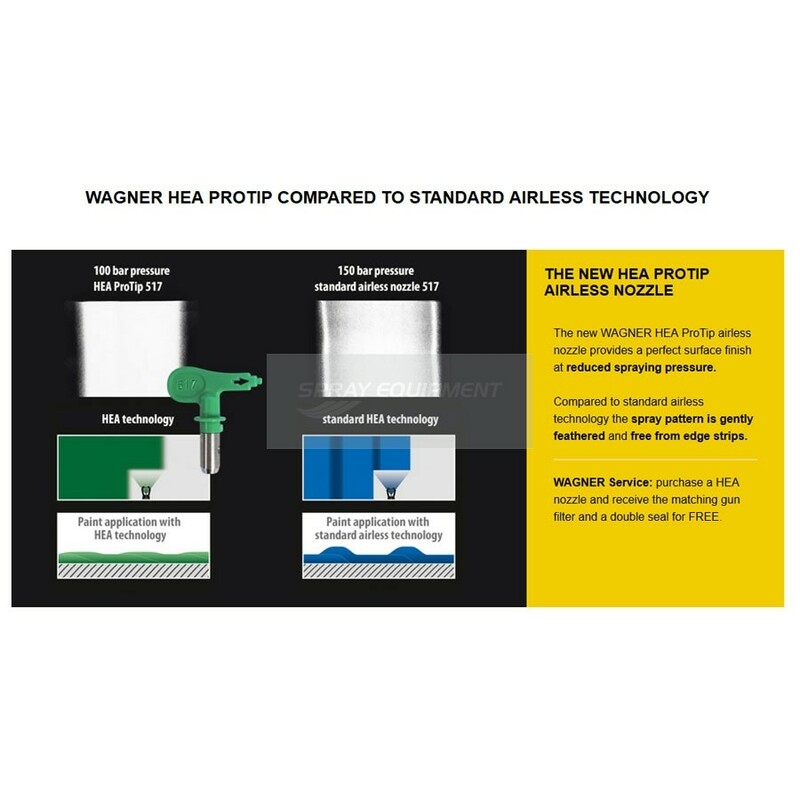 The new Wagner HEA ProTip airless tip provides a perfect surface finish at reduced spraying pressure, compared to standard airless technology the spray pattern is gently feathered and free from edge strips. Also when you purchase a HEA ProTip you also receive the matching gun filter and a double seal with the tip. The HEA ProTip is 100% compatible with Wagner professional tip guards and all current pump models. 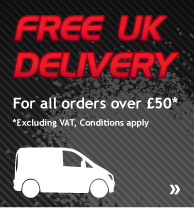 Fatigue-free working, low-pressure spraying ensures low gun recoil allowing particularly smooth and fatigue-free working.